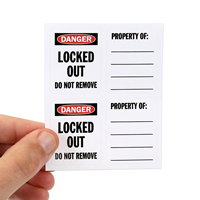 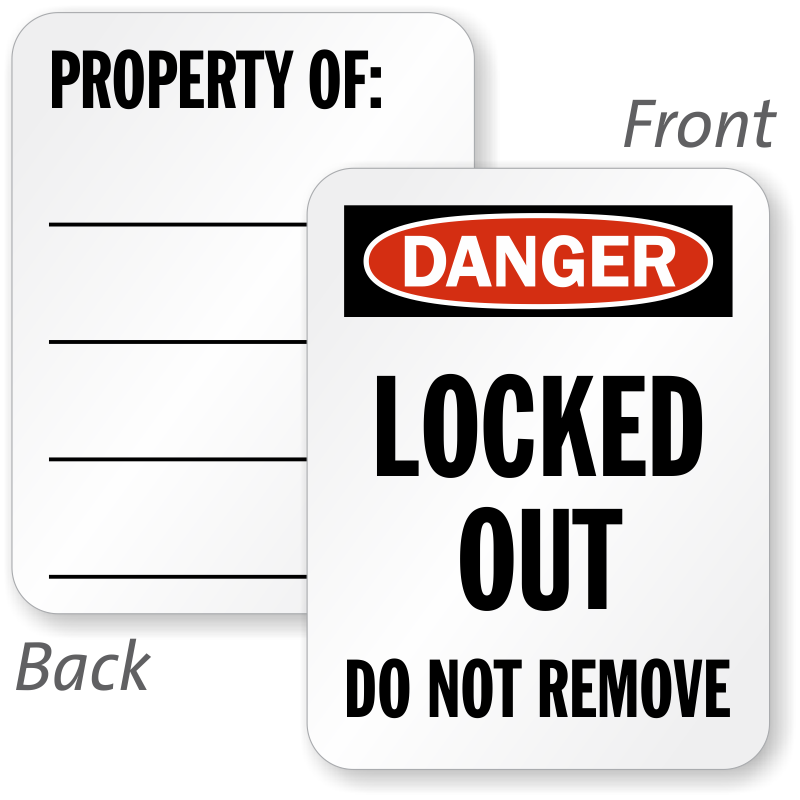 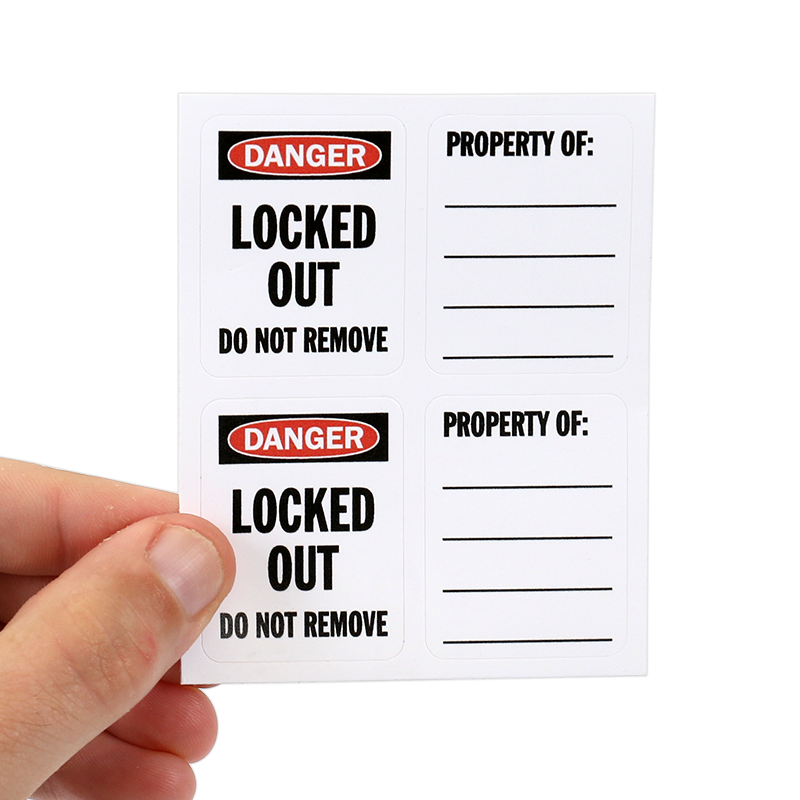 This 1.625" x 1.25" OSHA Danger Locked Out Padlock Label Set has writing space on the back label to mention owner of property or equipment being locked up. 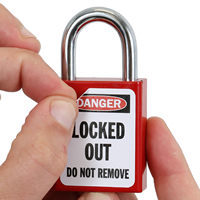 Fits perfectly and securely to locks! 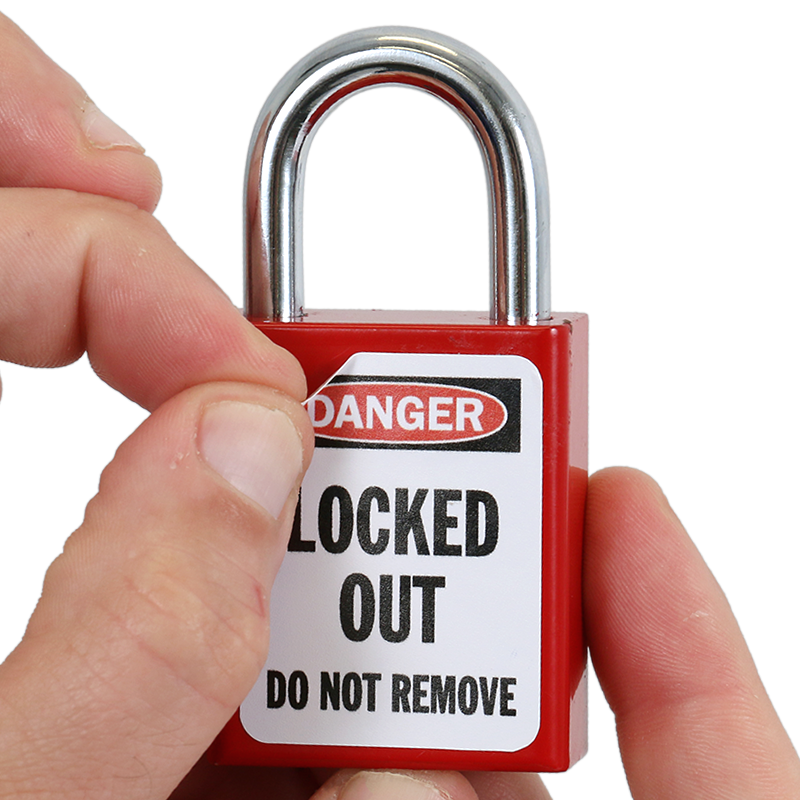 Fits perfectly on our locks! 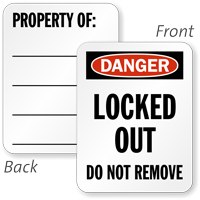 Adheres securely within 24 hours.